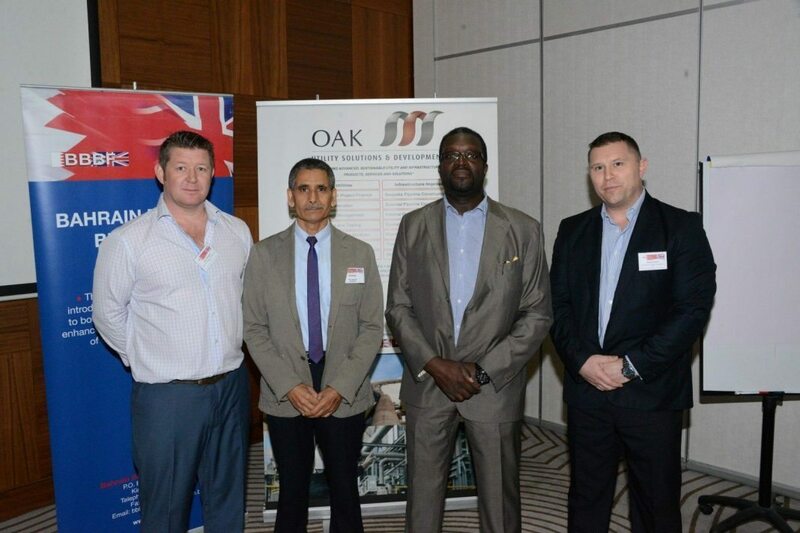 Bahrain British Business Forum (BBBF) in conjunction with British Business Association (BBA) from the Eastern Province of Saudi Arabia conducted an event at the Ramee Grand Hotel in which keynote speaker from Dubai, Mr. Joga Baines, a technical engineering consultant and trainer at Proserv, discussed the benefits of latest chemical injection systems versus conventional systems. Mr. Baines, a Chartered and European Engineer with diverse industrial experience spanning over 47 years from nuclear and chemicals industry to oil and gas sector, highlighted the advantages of utilising modern chemical injection systems, their efficiency and cost saving attributes. The BBBF’s special interest group for oil, gas and energy professionals was inaugurated last year to facilitate networking and exchange of information amongst industry colleagues. The oil and gas industry’s importance to trade links and economic synergies, locally within Bahrain and Saudi Arabia, and far beyond, led to the formation of the group. The BBBF has a number of special interest groups under its umbrella, catering for example construction, security and legal fields. The event was sponsored by Oak Utility Solutions & Development. The BBBF was set up in 1995 and has grown from the original 16 members to over 450 members today. It aims to promote trade and investment between Bahrain and Britain in a non-discriminatory, non-political and non-profit making manner. The BBBF is widely recognized in Bahrain and the UK as a leading impartial business sector group. The Forum works to create and sustain a favourable business environment. The BBBF strives to assist and introduce new trade and investment to both countries to benefit and enhance the common economic interests of our member companies.